The items in the "What Goes Where" quiz were decided during discussions during February and March 2014 Chadbourne EcoClub meetings. The how and why were researched by t1he EcoClub members. The information provided is based on City, County and resources from Republic Services (provides residential trash collection service in Fremont) in early March 2014. Links to the resources mentioned on this page are at the end of the page. Even if you do not live in Fremont, California, most information should apply to you so far as you are placing your trash in different bins. For example, no paper recycling facility would like to see a pizza box! If you find something incomplete or incorrect, please let us know! And if you found something useful, let us know as well: http://ecoclub.cffaonline.org/contact-us. Medical sharps: Place them in an approved container and take it to the Household Hazardous Waste drop-off location. Batteries: They are hazardous waste and should never be placed in trash. Chadbourne parents may bring them to school properly sorted on the first Friday of the month. Home Depot, Lowe's and many other places accept rechargeable batteries. You can bring any type of battery to the Household Hazardous Waste drop-off location. CFL lamps: They contain mercury, and should not be placed in trash or recycling bins. They can be dropped off at Home Depot, Lowe's or any other collection center with clearly marked signs. Old thermostat or thermometer: These very likely contain mercury and should never be placed in trash. Many times, local agencies offer an exchange program where you can take the old thermostat and get a new one for free. Otherwise, take them to the local Household Hazardous Waste drop-off location. Pizza boxes: Compost bin (after removing the plastic window film for take and bake pizza), and NOT recycling bin. In general, do not put in recycling bin any paper product that has food or grease on it. Pizza boxes are made from paper recycled multiple times, and there is very little usable fiber left to be recycled. So even if a pizza box is clean, it is better to put it in green (compost) bin. Paper napkins/plates etc. : Compost/green bin. Same as pizza boxes. Capri Sun juice pouches: These are not recycled by the trash collection services. However, Chadbourne has a TerraCycle Drink Pouch Brigade (link under Resources). You may send clean drink pouches in a plastic bag with your child. They can place them in the recycling bin in the school lunch area. If your school does not have one, you can start your own Brigade. Good for the environment, and good for the school too (money). Again, please do not place them in your residential recycling bin. Chip bags: Same as the juice pouches. Chadbourne has a TerraCycle Snack Bag Brigade. You may send clean chip bags to the school with your child, who can bring them to the lunch area for recycling. Please do not place them in your residential recycling bin. Clothes/shoes - usable: Donate them! Take them to Goodwill or Salvation Army etc. or place them in one of those bins that are popping up in shopping center parking lots. Toys - usable: Donate them or give them away through Freecycle. Incandescent lamps: They go in trash. Plastic nursery pots (used for selling plants): Take them back to Home Depot or Lowe's. They will try to have their nurseries reuse them. If the pot is not reusable, it will be recycled. Artificial Christmas tree: Reuse it! But when you really need to dispose it of, it will go in trash. Fresh Christmas tree (flocked or with fire retardant): Unfortunately this can not be composted! Place it in the trash bin. Plastic bags: Place them in one bag before placing them in the recycling bin. Plastic bags not bagged are a a nuisance to those who sort the recycling material. You may also take them to many stores that accept them for recycling. Fremont takes plastic bags. Confirm your local service accepts them. Shredded paper: Place it in a brown paper bag or CLEAR plastic bag and place it in recycling bin. Junk mail/catalogs: Recycle them. But stop them as well! 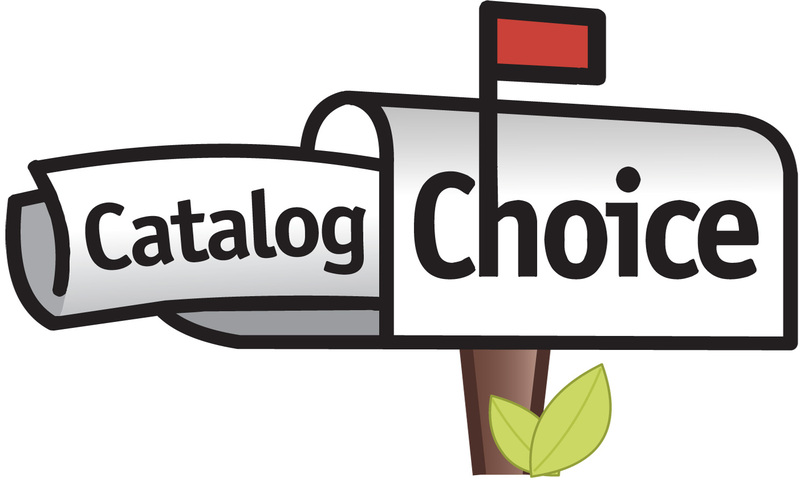 Use CatalogChoice.org to request companies to stop sending junk mail to you. Stopping unwanted mail reduces use of paper, energy, water, fuel (to transport) and time (to go through the mail). 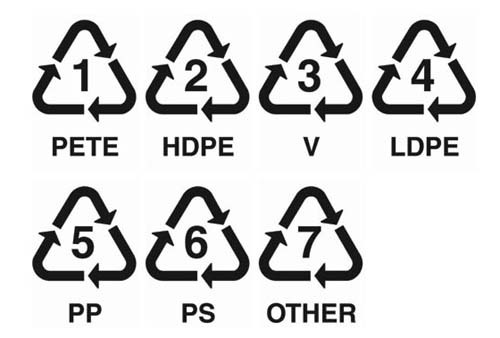 Plastic (other than bags): All recyclable plastic has a code (a triangle with a number inside). Styrofoam: It is unfortunately not recycled in Fremont, so it should be placed in trash bin. You may check your trash collection service for outside Fremont. Packing peanuts: They are made of Styrofoam. However, you may check with your local UPS store. They may be able to reuse them. Otherwise they go in the trash bin. Metallic wrapping paper: It is difficult to separate the paper in this case. Please try to reuse it. If it is not possible, place it in trash bin.